​​Dr. Lynch, is a forensic macro practice social worker and former Dean of the Whitney M. Young, Jr. School of Social Work at Clark Atlanta University. He has lectured at over a dozen colleges and universities; authored or co-authored over 30 published manuscripts in professional books and/or scholarly journals; and has actively participated in over 200 professional conferences, workshops, and training institutes. Lynch has served in senior staff positions in the Executive, Legislative, and Judicial branches of Pennsylvania’s State Government, serving Lt. Governor Ernest P. Kline, House Speaker K. Leroy Irvis, and Chief Justice Robert N. C. Nix, Jr., and has experience in private industry, higher education, and non-profit management. In 2010 Dean Lynch was recognized as a NASW Social Work Pioneer for his contributions to the evolution and enrichment of the social work profession. 2015, he was elected as a National Board Member of the National Association of Social Workers. In July 2016 he was acknowledged as a Steller Innovator for his pioneering project “The Integration of Responsible Fatherhood within Foster Care Service Delivery and Other Children and Youth Servicing Systems” by Ashoka Changemakers and the Robert Wood Johnson Foundation’s Children’s Wellbeing Initiative. Within the last several years (September 27, 2017 & October 17-18, 2018) in the capacity of Chair of The Strong Families Commission, Incorporated (THE COMMISSION), Lynch convened in partnership with others two back to back state-wide historic bipartisan and bicameral events on Child Well-Being in Pennsylvania and the Urgent Need for Father Involvement. Both events were held in Mechanicsburg, Pennsylvania and hosted by the Pennsylvania Child Welfare Resource Center to consider the value of Fathers and their contributions to the well-being of Pennsylvania’s children and families. More recently, Dr. Lynch caused to be drafted legislation that would create a Pennsylvania Commission on Greater Father Family Involvement to promote the well-being of children and families, with the Commonwealth. In January of last year THE COMMISSION, under the leadership of Dr. Lynch accredited 12 children, youth and family-focused corporate entities as Father Friendly Flagship Agencies (3FAs) in recognition of their Commitment to the principals of Father Friendliness & Continued Agency Self-Assessment; Willingness to engage in pro bono work designed to consider alternative strategies to removing children from their home and extended family Members; Readiness to stand firm in their belief and value of the importance of fathers being included in their respective service delivery models to children and families; and, Achievement of qualifying as the first inaugural group of accredited Father Friendly Flagship Agencies (3FAs) in America. Throughout his career Lynch has been defined as a highly talented professional with a national reputation as a successful and visionary leader with an impressive history of positive and proactive contributions to human and institutional development; champion of forward thinking, with a social conscience for implementing actions that have a positive impact on people, society, government and the systems that serve them; and, creator of programs, policies, initiatives, and entities that impact society by means that improve the status quo and creates a better future for all. Lynch holds a B.A. degree in Sociology from Morgan State College, a Master’s degree in Social Work from the University of Pittsburgh, with a concentration in Community Organizing and Planning, an advance Certificate in Social Administration from the University of Pennsylvania School of Social Work, and a Doctoral Degree in Social Policy and Administration from the University of Pennsylvania, School of Social Work, now known as the School of Social Policy and Practice. He graduated from Dunbar High School in Baltimore Maryland. ​​After 28 years as a prosecutor, George D. Mosee, Jr., Esquire retired from the Philadelphia District Attorney’s Office on December 9, 2016. He had most recently served as the office’s First Assistant District Attorney. From 2002 to 2015, Mosee was the Deputy District Attorney in charge of the Juvenile Division of the Philadelphia District Attorney’s Office. The Juvenile Division includes the Juvenile Drug Treatment Court Program, Juvenile Prosecution Unit, Juvenile Dangerous Offender Unit, Child Support Unit and Diversion Unit which includes the Youth Aid Panels. Mosee joined the office in 1988 and served in various units including Motions, Major Trials, Federal Alternatives to State Trials as a Special Assistant United States Attorney, Asset Forfeiture as Chief, and Chief of the Dangerous Drug Offender Unit. From 1995 to 2002, Mosee was the Deputy District Attorney in charge of the Narcotics Division. Mosee serves and has served on many boards and committees including the Pennsylvania Juvenile Prosecutors Network as Chair and the Supreme Court of Pennsylvania’s Juvenile Court Procedural Rules Committee as Chair. Mosee is a 1973 Central High School graduate. He received a B.A. Degree in 1977 and a Master’s Degree in 1981 from Lincoln University in Pennsylvania and a J.D. in 1986 from Temple University School of Law. Kevin is an attorney with Berney & Sang, a civil rights firm specializing in education and employment law. He represents students with disabilities in special education cases and employees in discrimination cases. Kevin is passionate about disability rights and advocating for families. He is a graduate of Harvard Law School and the College of the Holy Cross. 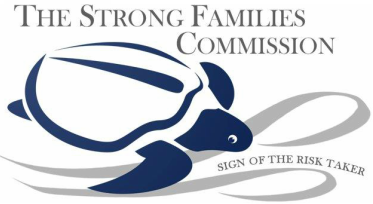 Kevin began his Commission work as a member of the Philadelphia Strong Families Coalition (PSFC), and was one of three PSFC member who co-founded The Strong Families Commission, Incorporated (THE COMMISSION). He has previously served as a Commissioner and the Secretary of the Commission. Think the Law Protects Our Children From Bullying? Think Again. The Notebook. Colleges Can Fight Obesity, Lessen Divides, Philadelphia Inquirer. Textualism, The Supreme Court, and Truant Kindergarteners, The Legal Intelligencer. Disparate Treatment and Lost Opportunity: Courts’ Approach to Students with Mental Health Disabilities under the IDEA, Temple Law Review. Courts Must Do Better Regarding the IDEA and Mental Health, The Legal Intelligencer. Educational Rights of English Language Learners and the Costs of Failing Them, The Legal Intelligencer. Overrepresentation of Minorities in Special Education, The Legal Intelligencer. Recently, Kevin clerked for the United States Court of Appeals for the Eleventh Circuit from 2015 to 2017. In his free time, Kevin coaches a mock trial team and volunteers as a mentor for elementary school students. Malkia Singleton Ofori-Agyekum holds a Bachelor of Science in Rehabilitation Services from the University of Maryland, Eastern Shore, and a Master of Science in Early Childhood Education from the University of Pennsylvania. She also holds a Certificate in Early Childhood Mental Health from Widener University, and a Certificate from the Non-Profit Executive Leadership Institute (NELI) from Bryn Mawr College. Ms. Ofori-Agyekum has dedicated her time and talent to serving underserved communities in both Baltimore, Maryland and Philadelphia, Pennsylvania. 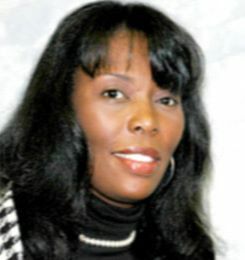 Her fifteen years of experience as an administrator and advocate includes Vice President of Social Services at the People’s Emergency Center, Jumpstart Baltimore Program Coordinator, and Project Act Training Consultant for Abilities Network as well as Education Coordinator for Head Start at Morgan State University. In addition, Ms. Ofori-Agyekum serves as the co-chair of the Children’s Workgroup-Early Childhood Committee, member of the Intergen Steering Committee and Content Expert for families experiencing homelessness for The Strong Families Commission, Incorporated (THE COMMISSION). Currently, Ms.Ofori-Agyekum serves as the Pennsylvania Program Director for the Parent Child + Equal Possibilities from the Start Program, a nationally recognized research-based early literacy, school readiness, parenting program that prepares young children for school success. 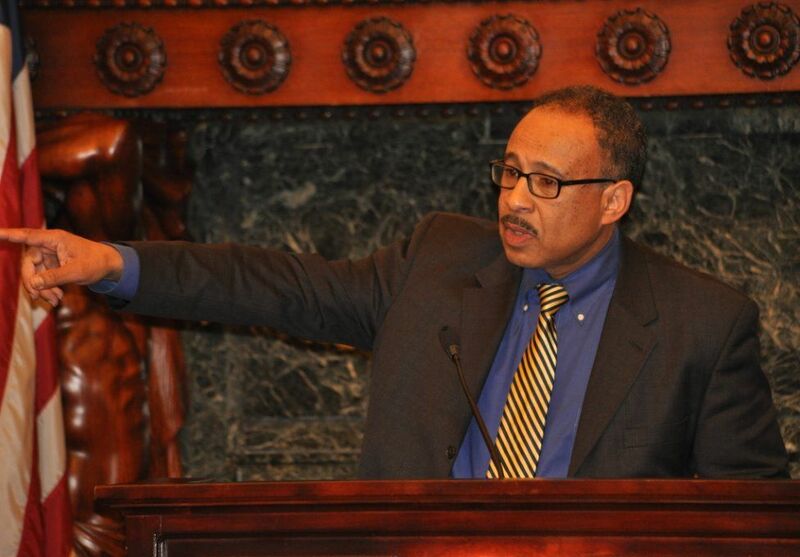 Mr. Moore is the first African American to serve as Parliamentarian of the House of Representatives in the Commonwealth of Pennsylvania. During his four years of service in that position, he assisted both Democratic and Republican speakers as an advisor on the proper conduct of meetings from the floor of the House of Representatives. In addition, Moore has served for more than 29 years as a senior counsel or chief counsel to seven speakers and leaders of the Pennsylvania House of Representatives. Moore is a member of the National Association of Parliamentarians and the American Institute of Parliamentarians. In 2012, Moore served as Parliamentarian for the African Methodist Episcopal Church at their 8-day 49th Quadrennial Session of the General Conference in Nashville. 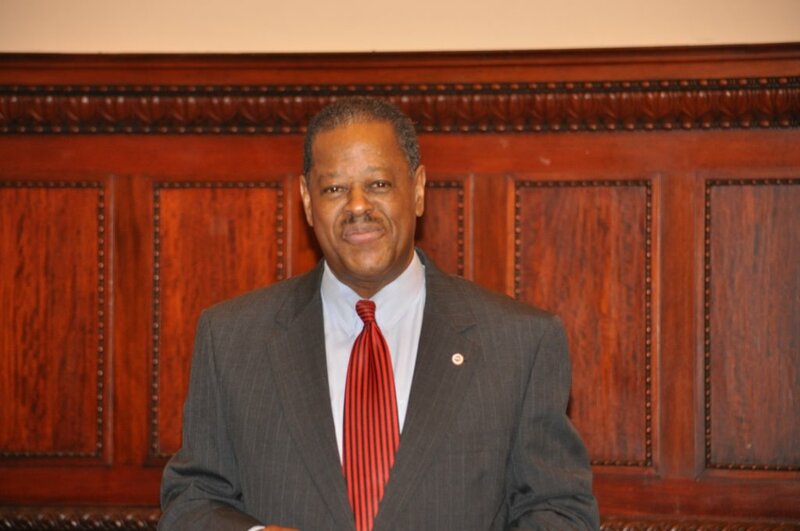 In the 1980s, Moore was elected to serve two consecutive four-year terms on the Harrisburg City Council, and was elected by council members to serve for six years as its president. During his tenure as president, Moore shepherded more than $750 Million in economic development and infrastructure improvement projects through city council. Moore is a graduate of Haverford College with a B.A. in Economics and J.D. degree from the University of Pennsylvania. More recently, Attorney Moore has commenced the private practice of law with a concentration of practice on matters involving legislative affairs, employment, contracts, election law, and representation of client interests before Pennsylvania agencies, authorities, and commissions. 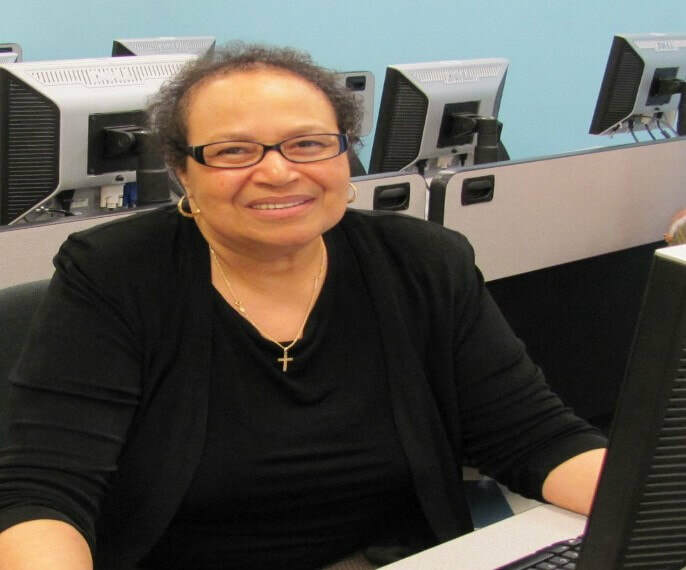 Dr. Virginia J. Smith is a Professor in the Masters of Human Services Program at The Lincoln University, where she teaches social science research, planning, and program evaluation. She is also Co-Director of a degree completion program in human services for adult learners. Her area of concentration during her doctoral studies was social analysis and planning. 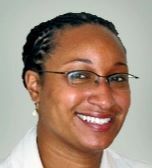 She is an independent consultant in the area of research and evaluation and has evaluated several fatherhood programs. She serves as Director of Research for the Institute for the Advancement of Working Families. Dr. Smith has a Ph. D. in City and Regional Planning from the University of Pennsylvania. She earned her Master of Social Work Degree from the University of Pennsylvania and her Bachelor’s degree from Temple University. She is a member of the Academy of Certified Social Workers and a Licensed Social Worker in the State of Pennsylvania. ​Ms. Pontisso began her 33-year career with the federal Department of Health and Human Services (HHS) in 1979 and, at the time of her retirement in November, 2012, she had been working in the Office of Child Support Enforcement (OCSE) managing the [Child] Access and Visitation Grant – a $10 million per year program authorized by Congress based on the goal of increasing noncustodial parents access to and visitation with their children. During her long tenure with HHS, she held various positions in the Administration on Aging, Office of Community Services (anti-poverty and community development programs), Office of Refugee Resettlement, and as Associate Director of the U.S. Commission on Children and Families. ​ Ms. Pontisso also worked briefly with the U.S. Senate Committee on Aging as part of a rotational assignment related to her selection as a Presidential Management Intern. She holds a Master’s Degree in Public Administration from the University of Southern California (1979) along with graduate studies in gerontology and a Bachelors of Arts Degree from the University of Northern Colorado (1975). Mr. Brown is a native of North Carolina, the oldest of four children and a graduate of Atkinson High School. After graduation, Ver'non joined the Army's Elite 82nd Airborne Divison, where he served for three years completing tours of duty in several countries (Germany, Italy, and South America). He was honorably discharged in 1974 when he relocated to Philadelphia. After working for several years with the U.S. Postal Service, he enrolled at Eastern College (now Eastern University), where he obtained a Bachelor degree in Sociology and Youth Ministry. As a member of Sharon Baptist Church, (1982) he began and headed their first Youth Ministry Program for four years. He graduated and eventually moved on to serve as Youth Minister for several other Philadelphia Churches, while consulting with others as they created youth programs of their own. Mr. Brown was a Philadelphia City Department of Human Services social worker for several years, counseling delinquent teens and ended his social work career in the Foster Care Unit with the Juvenile Justice Center. While working in that unit, he and his wife became foster parents themselves and opened their home to a number of foster children. For the next ten years, he went on to teach sixth grade in the public and charter school system, where he distinguished himself as an excellent educator and mentor to students. His decision to teach came after being approached and recruited by Concerned Black Men of Philadelphia. Currently, Mr. Brown is semi-retired and devotes much of his time to organizing community folk to become activists for social change. He is the father of three children, two boys and a girl, ages 23, 25 & 28; all of who live on their own and are doing well. 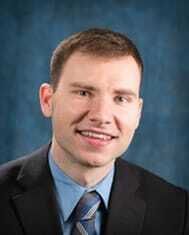 Michael Golembiewski is employed as a Product Training Manager at CPI Card Group in Nashville, Tennessee. In his role, Mike oversees the vision, creation and implementation of a thorough training program for a leading card manufacturer and production company. He has previously been employed as an Operations Coordinator for a home health care company specializing in providing care for the intellectually and physically disabled. Michael volunteers with Habitat for Humanity and Helping Hands on a regular basis. Michael earned an Associates Degree in Business Management from Nashville State and a Bachelors Degree in Music Performance with a focus in Business from Tennessee Technological University upon serving on an anti-terrorist security team in the United States Marine Corps. He has performed in venues such as St. Peter’s Basilica in Vatican City and St Marks Cathedral in Venice, Italy as a member of Tennessee Technological University’s premier vocal ensemble. Most recently, Michael performed in a stage production of "Home for the Holidays", in Nashville, TN. Michael is a devoted single father to a wonderful 9-year old son. He has first-hand involvement with overcoming the barriers confronted in the current family legal system. He is excited about the opportunity to contribute to the Strong Families Commission as an advocate for equal parental participation in children’s lives. 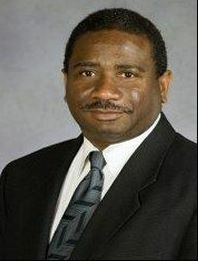 Dr. Eugene Harrington, Ph.D., M.S.W., M.Div., L.C.S.W. Research Interest: African American Adolescent Males, Spirituality and HIV, and large family birth order characteristics with serious psychological distress (SPD) birth order issues. Honors and Awards to name a few include: Distinguished Service Award, National HBCU Substance Abuse Consortium; Certificate of Appreciation, Morehouse School of Medicine Training Program, Certificate of Appreciation, Historically Black Colleges and Universities Webinar Program, and Distinguished Faculty in Master’s Degree Addiction Studies Program, University of Arkansas at Pine Bluff. ​Dr. Kirk Edward Harris, MPA, JD, PHD, Esq. Dr. Harris is CEO and Co-Designer of Fathers, Families and Healthy Communities (FFHC), a citywide initiative in Chicago that seeks to strengthen the engagement of low-income non-custodial African-American fathers with their children, families and communities. Dr. Harris has sought to aggressively advance policies that more effectively support vulnerable families and communities. 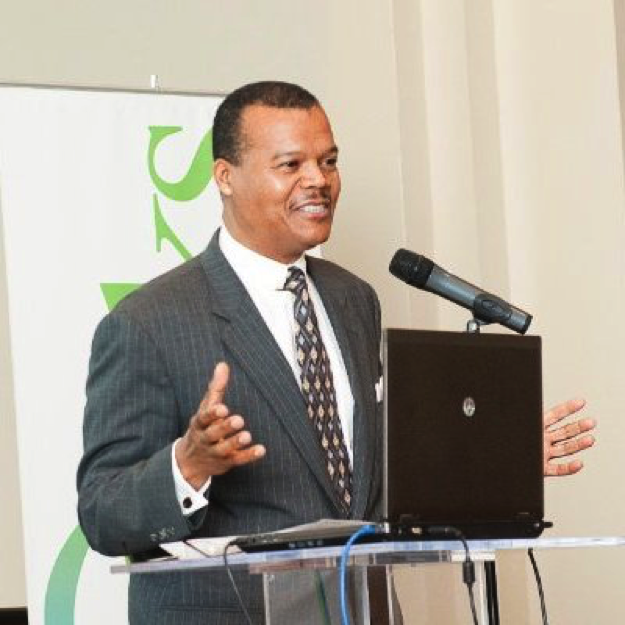 He is considered a national expert in the areas of public policy related to responsible fatherhood, family support practice, community building and economic development, parent-engagement and leadership and anti-poverty strategies. In his capacity as a national expert, Dr. Harris has testified before Congress on issues related to fatherhood, family strengthening and community building. In addition, Harris served as the national facilitator for the National Fatherhood Leaders Group, a consortium of the country’s leading fatherhood organizations. 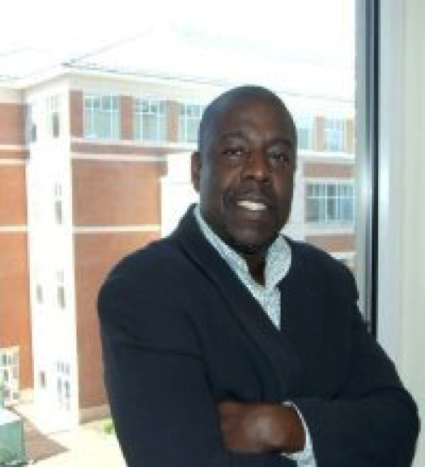 Jeffrey Shears is a joint appointed Professor in the Social Work Departments at North Carolina Agricultural & Technical State University & UNC-Greensboro, where he is also the Director of the Joint Master of Social Work Program (JMSW). 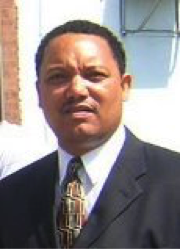 Dr. Shears earned his BSW and Masters in Education Administration from North Carolina A&T State University and his PhD in Social Work from the University of Denver. His research interest include father’s influence on children’s development, fathering in racial minority families, and working with fathers in child welfare. 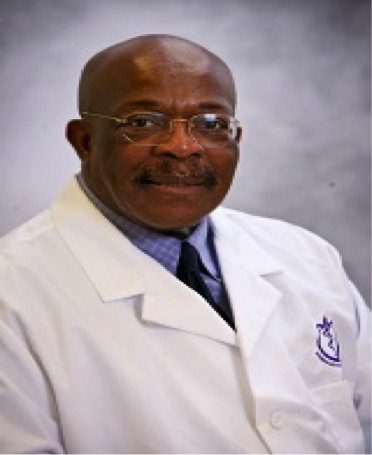 Dr. Shears has an extensive list of academic publications on fathering featured in national and internationally refereed journals. He is co-author of the acclaimed “What all Dads Should Know” (Create space Publishers, 2011). Alicia Barbara Harvey-Smith, Ph.D. has recently been appointed as President of Pittsburgh Technical College; prior to her new appointment Dr. Harvey-Smith served as the Executive Vice Chancellor at Lone Star College in Texas. A learning-centered educator with twenty-five years of experience in leadership, instruction, training, development and consulting. Dr. Harvey-Smith has served in a variety of senior level administrative positions in higher education, including dean, vice-president and president. She has earned a Ph.D. from the University of Maryland, College Park, and Masters of Science Degree from Johns Hopkins University and a Bachelor of Science Degree from Morgan State University. She also holds a certificate from Harvard University School of Education Presidents Institute. A passionate teacher and ethical leader, Dr. Harvey-Smith views leadership as a “calling to serve.” Dr. Harvey-Smith serves on national and local boards including the Executive Board for the American Association of Community Colleges. An active mentor, Dr. Harvey-Smith loves to inspire people to reach beyond what they imagine is possible and to make excellence a habit. One of her favorite sayings is “Carpe Diem”, which simply means, “seize the day”, a reminder to celebrate each day and to be grateful for the small things. ​Joseph D. Kenner, became a Commission Fellow while serving as Deputy Commissioner of Westchester County’s Department of Social Services (DSS) in 2014, Joe had a previous 14-year career in corporate America, working in the fields of insurance underwriting and risk management, capital markets and sales strategy. He began as an underwriter for Chubb & Son, Inc. in White Plains and Manhattan. From there, he moved into insurance risk management as an insurance analyst for Lehman Brothers, Inc. 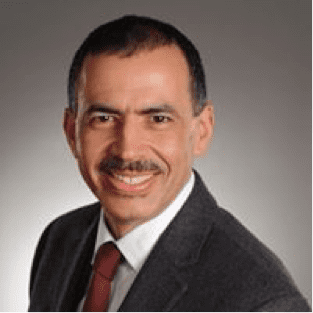 He then joined PepsiCo, Inc. for nearly nine years, serving as a Treasury Manager in the Purchase-based company’s Insurance Risk Management and Capital Markets departments and as a Sales Strategy Manager in the Pepsi-Cola North America division. After successfully fulfilling a long desire to directly impact public policies that would serve America’s most needy Joe has decided to move to the philanthropic sector as Vice President of Programs and Partnerships, at the Greyston Foundation, which supports low-income individuals and families as they forge a path to self-sufficiency and community transformation. ​Ms. McIver is a champion of fair housing rights for all American. She joined the Fair Housing Rights Center in Southeastern Pennsylvania as Executive Director in November 2007. By 2013, she was promoted to Chief Executive Officer and elected Board Secretary. She has over 26 years of human service experience and specializes in developing institutional and organizational networking, community partnerships, and coalitions affecting adults and youths. In 2016, Angela was appointed to the Pennsylvania Advisory Committee of the U.S. Commission on Civil Rights until 2020, and she had been elected to the board of the National Fair Housing Alliance. Angela is co-founder of Women Cultivating Women, an association that serves to strengthen intergenerational relationships among women and empower women and girls from various socioeconomic and ethnic backgrounds on social and gender specific issues. She volunteers with several community and grassroots organizations and will advocate or operate as a broker of human services for anyone who expresses the need. 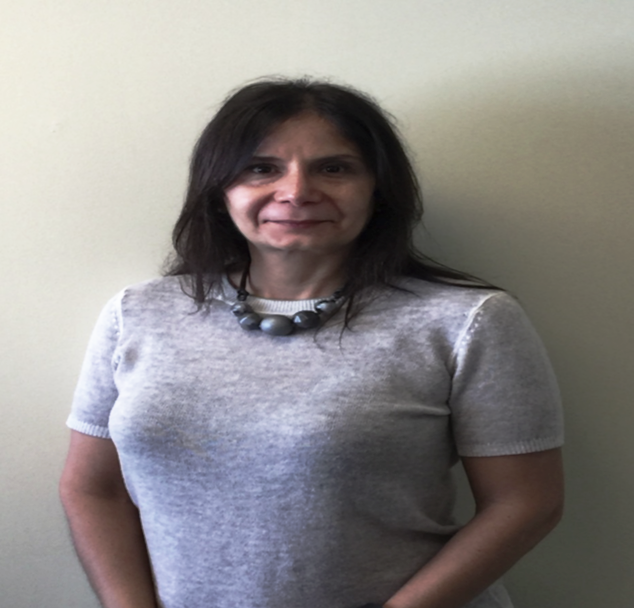 Dr. Carol S. Larach is the Director of Integrated Care for Community Behavioral Health (CBH) in partnership with the City of Philadelphia Department of Behavioral Health and disAbility Services (DBHIDS). Prior to rejoining CBH, she served as the Director of Program Integration for the Division of Maternal, Child and Family Health of the Philadelphia Department of Public Health. Previously at CBH she was the Manager of Clinical Network Development, where she oversaw the development and implementation of behavioral health services and programs, including evidence-based practices. Her interests include women’s mental health and its impact on the child and the family. She received a Doctor of Public Health in Community Health and Prevention from Drexel University School of Public Health and a Master’s of Science in Education from the University of Pennsylvania. Tomas Sanchez, JD, a lifelong Philadelphian, grew up in the shadow of Temple University and attended Central High School, Harvard University majoring in Government, and the University of Pennsylvania Law School.